The NYSF acknowledges the financial and strategic support of all of our funding partners and thanks them for their commitment to the development of Australia's future. If you would like to find out more about how to become a partner please click here. Our major funding partner is Lockheed Martin Australia. Lockheed Martin, headquartered in the USA, is a global security and aerospace company that employs approximately 125,000 people worldwide. The company is principally engaged in the research, design, development, manufacture and integration of advanced technology systems, products and services. Lockheed Martin Australia Pty Ltd is a wholly-owned subsidiary of Lockheed Martin Corporation. The company employs more than 1,000 people in Australia and New Zealand working across the aerospace, defence and civil sectors. Lockheed Martin's involvement with Australia began in the 1930s, when legendary aviator Sir Charles Kingsford Smith acquired a Lockheed Altair ‘Lady Southern Cross’ and made the first trans-Pacific flight. Since then, this founding relationship has grown into an extensive partnership with the Australian Department of Defence, national security agencies and local industry spanning the air, land, maritime, information technology, and space domains. Lockheed Martin has also expanded in civil business areas, such as information technology, transport and logistics and energy. Rotary is the Founding Partner of the NYSF, and every year Rotarians continue to support the NYSF Year 12 Program by promoting the opportunity in local communities, managing applications and selections of students and assisting with funding or fund-raising for student fees to attend. Rotarians also volunteer during the NYSF Year 12 Program in January. We estimate that Rotarians contribute more than 20,000 volunteer hours to the NYSF every year. Our host universities are The Australian National University, which has been an NYSF Year 12 Program and National Science Teachers Summer School (NSTSS) host for many years. The University of Queensland has also recently become a host to the NYSF Year 12 Program and NSTSS. In addition to these main partnerships, the NYSF receives support from a range of corporate, research, and university partners that value the work of our organisation, and contribute to resourcing the gap between the fee paid by participants in the NYSF programs and the actual cost of delivering the NYSF programs. 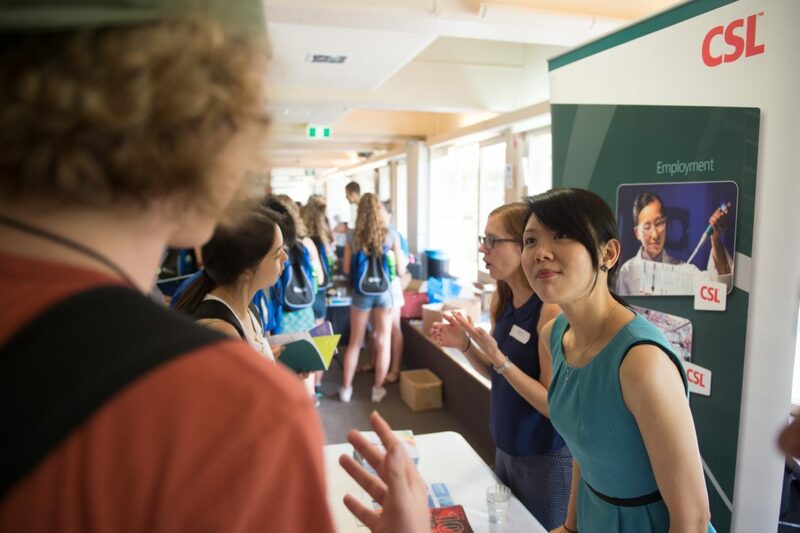 Beyond financial support, these partnerships provide students with information, access and insights into the worlds of tertiary study, research, and the many employment opportunities and career pathways that are evolving in our rapidly changing society. Many alumni go on to study at and work for these organisations. The support from these organisations is essential to the sustainability of the NYSF and our ability to meet our mission of delivering transformative STEM experiences to young Australians. A full list of our funding partners is below.